The Washoe County Sheriff’s Office Citizen Corps is offering an emergency preparedness and response training academy beginning April 11, 2019. The training is free and trainees are not required to become a Citizen Corps volunteer to participate. 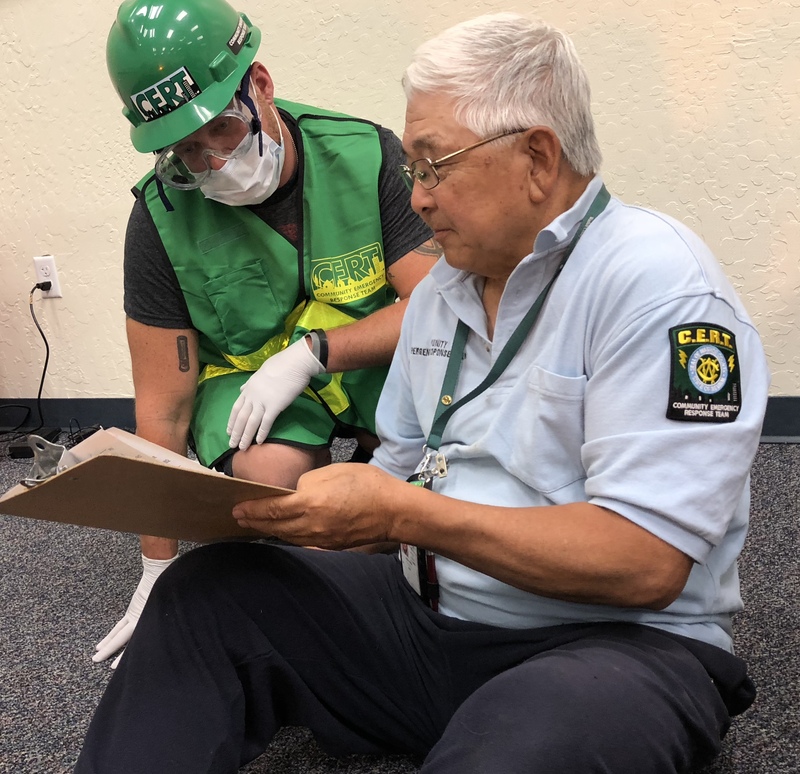 The Community Emergency Response Team (CERT) Academy provides residents with the information they need to help save lives and reduce trauma in the event of an emergency. CERT Academy training includes disaster preparedness, emergency medical techniques, fire safety, light search and rescue, disaster psychology, and terrorism awareness education. But CERT is more than emergency response; CERT is about community outreach, education and the building up and protecting of our community. This happens in all kinds of ways: providing traffic control, staffing first aid booths, or helping at special events; such as the Reno Air Races, Reno Rodeo, Reno Balloon Races, and Community Safety Day to name a few and the list goes on and on. The CERT Academy offers six training sessions over two consecutive weekends, all sessions must be completed in order to graduate. Training is conducted by Citizen Corps staff and volunteers along with appropriate subject matter experts. and Saturday, April 13, from 9:00 a.m. – 4:00 p.m.
Thursday, April 18, from 6:00 p.m. – 9:00 p.m., Friday, April 19, from 6:00 p.m. – 9:00 p.m.
and Saturday, April 20, from 9:00 a.m. – 4:00 p.m.
All sessions are required to complete the training and receive a certificate. Training takes place at the Regional Public Safety Training Center located at 5190 Spectrum Blvd. Approximately 280 volunteers currently serve in the Sheriff’s Office Citizen Corps. The Corps consists of three teams: Community Emergency Response Team (CERT), Rail Auxiliary Team (also known as the RAT Pack), and Citizens Homeland Security Council (CHSC). The Community Emergency Response Team program is made possible by grants awarded by the Nevada Department of Public Safety, Division of Emergency Management from the Homeland Security Grant Program. These funds make it possible to implement and support all of the Sheriff’s Office volunteer Citizen Corps Programs. For more information about the Washoe County Citizen Corps, visit www.wcsovolunteer.org. The Washoe County Sheriff's Office is dedicated to preserving a safe and secure community with professionalism, respect, integrity and the highest commitment to equality. Sheriff Darin Balaam is the 27th person elected to serve as the Sheriff of Washoe County since the Office was created in 1861. The Washoe County Sheriff's Office strives to ensure public safety by building trust and creating partnerships within the diverse communities in which we serve. We will promote the dignity of all people supported by our words and actions through open communication while fostering an environment of professionalism, integrity and mutual respect.